"My cousin has lived in the same place for SIX YEARS. He was BORN THERE." "Really?! Is he going to visit?" "Maybe in a couple of years. But it would be a big trip." "My family travels a lot." "Mine, too. I love to see all the new places." "Ya. It&apos;s fun to see new places." These young kids don&apos;t realize how unique their lives are and how it does present a unique opportunity to see and learn about the world. Many of us don&apos;t have the means or ability to literally travel and explore the world so Junior Explorers aims to bring adventure home with monthly global missions. 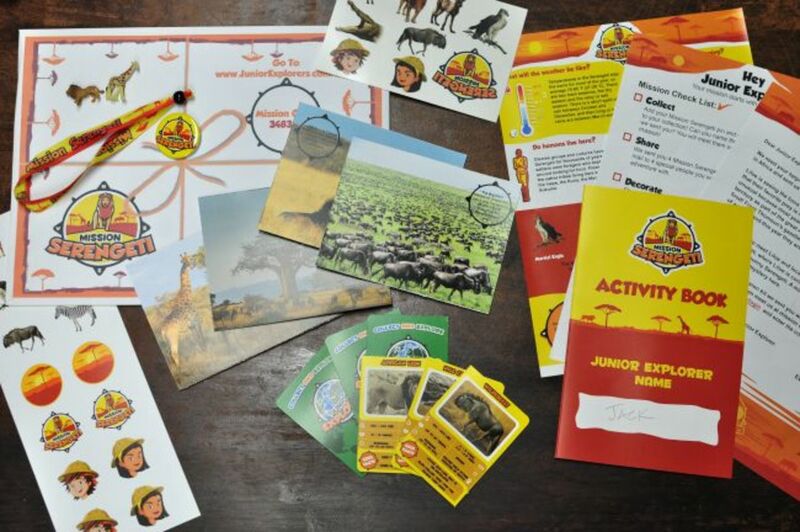 Junior Explorers is an educational monthly subscription service aimed at teaching kids about wildlife around the world. Every month, a Mission Kit arrives with small collectibles, activities, and facts about a specific region. 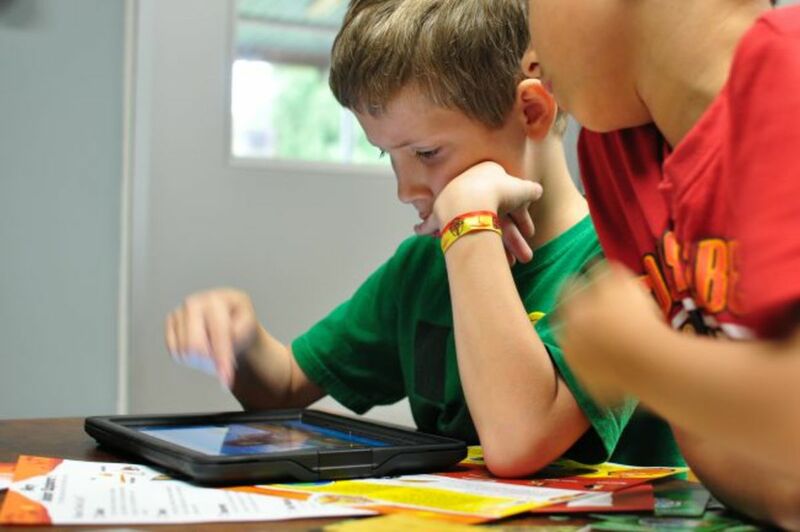 Armed with the Mission Kit, your junior explorer hits the website to solve a mystery, play games and earn rewards. And, of course, learn in the process. We received a couple Mission Kits for our own adventures and our first destination was the Serengeti. 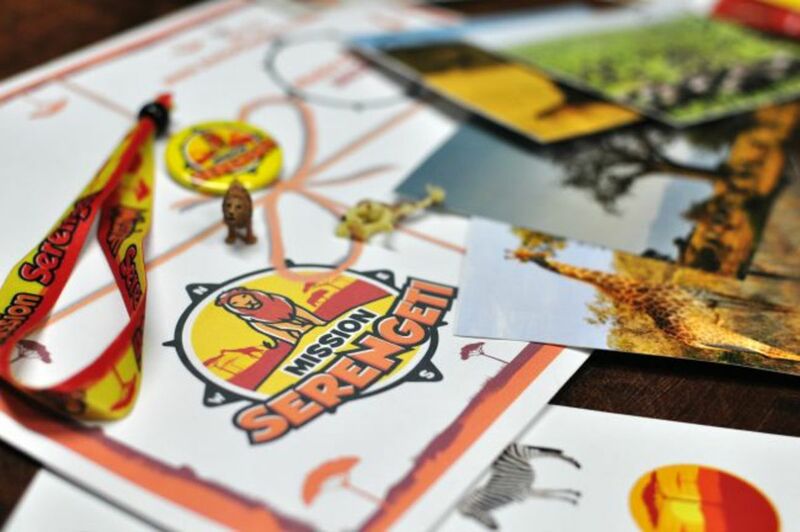 Mission: Serengeti included an Activity Book, a mission pin and bracelet, a lion and giraffe collectible, stickers, temporary tattoos, postcards, animal fact cards and a few other fact sheets. With Mission Kit in hand, my 8 year old hit JuniorExplorers.com to help locate a pride of lions with resident explorers Kia and Kyle. My son is right in the target age group of 5 to 12 years old, and he was definitely engaged in his mission. 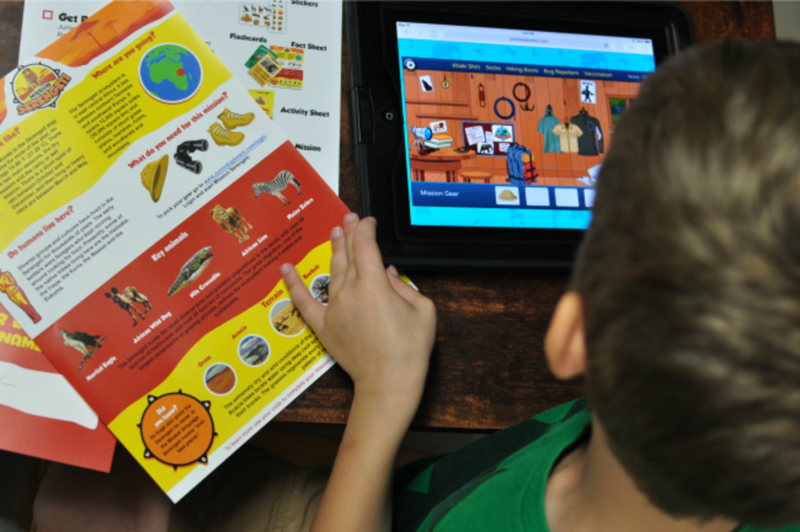 Facts about animals native to the Serengeti were shared seamlessly through the activities and games so he was learning without being lectured to. At times he had to refer to the Animal Cards from the Mission Kit to find the answers to questions in the games. Here are some screenshots from the game. He played on his iPad, but it was a little easier to navigate on our desktop. One of the coolest aspect of Junior Explorers is that giving back is part of the mission. Kids give back $1 for every mission - and they get to pick how their dollar is distributed. My son decided to split it 50/50 between Panthera&apos;s mission to help lions and the Nature Conservancy to protect the Serengeti. Junior Explorers strikes a good balance of education and fun. My son loved the combination of a package in the mail and the online games. It&apos;s a great concept and definitely had my son engaged. He completed the mission in one sitting, but can go back at any time to do it again or simply to play the games. Shop! 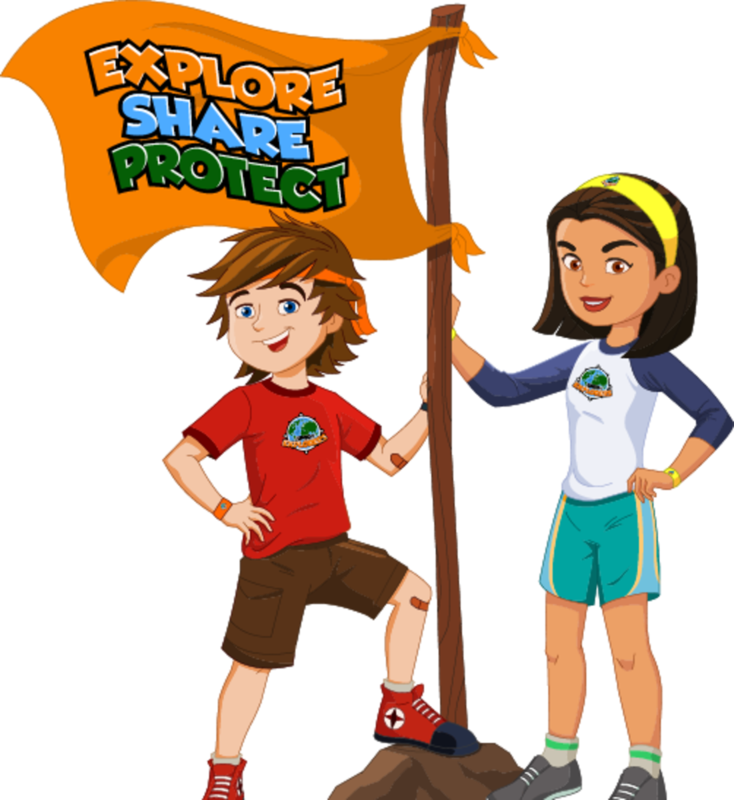 A monthly subscription to Junior Explorers is $19 per month if you pay monthly. You can save over $40 by purchasing a year&apos;s subscription up front. Read more Monthly Subscription Service reviews.